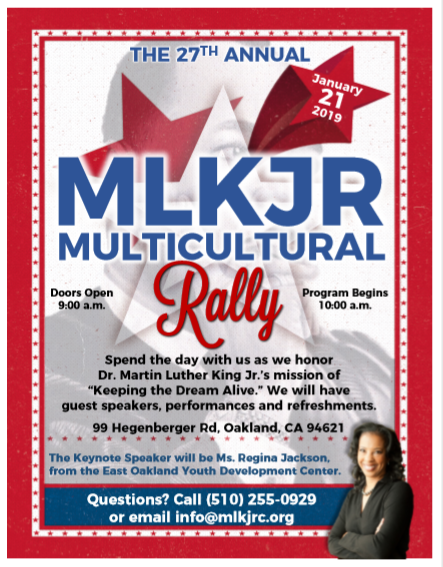 It is our honor to invite you, your family and the community to join us for the 27th annual Martin Luther King Jr. Multicultural Rally on Monday, January 21, at 10 am. Each year, hundreds of us gather as an interracial, intergenerational group of community members, students, local business owners and civic leaders, all with a shared desire to honor Dr. King, his life and his legacy. Details are below, we look forward to seeing you on Monday!